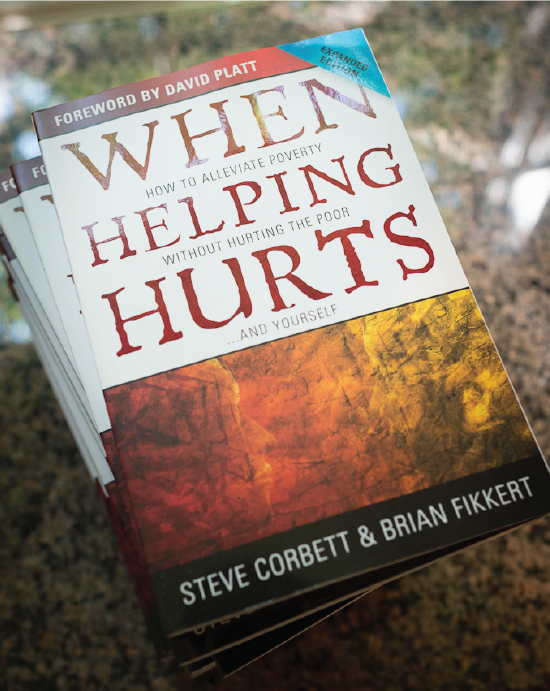 We hope you’ve been enjoying reading "When Helping Hurts" along with our staff! If you missed last week's discussion post, click here. This week we’re looking at Part 2: General Principles for Helping without Hurting. When determining which mode of poverty alleviation is right, it is incredibly difficult to avoid projecting our own thoughts and ideas onto the situation. But when we project our own thoughts and ideas, we can cripple a community’s local initiative to move forward. This crippling effect usually occurs in a form of paternalism: resource, spiritual, knowledge, labor, and/or managerial. The best way to avoid the many forms of paternalism is through Asset-Based Community Development. This approach to helping asks, “What gifts do you have?” before asking, “What do you need?” By opening both the conversation and relationship with a focus on gifts, we can affirm the dignity of those we are trying to help and begin to empower them to use their natural and learned gifts for the good of their own situation and community. Expansions of this concept can be seen in Asset Mapping, Participatory Learning and Action, and Appreciative Inquiry. Much of this sentiment is summarized in the “learning process,” where our help is not done to the people or for the people, but with the people. These practices also help keep our focus on restoring a right relationship with God over any material needs. Blood:Water makes an effort everyday to avoid hurting while helping. We are so thankful for our partners in Africa who are able to show the people in their communities that they are truly heroes and capable of creating lasting change. But we are all a part of this story, and we couldn’t do it without your support. Thank you! Are you, your church, or your ministry being paternalistic in any of your poverty-alleviation efforts? If so, what could you do to change this? Think about the organizations to which you are donating money. Are they pursuing relief, rehabilitation, or development appropriately? If you do not know, then try to find out by examining their literature, exploring their website, or asking them some questions. What do you get when you mix water skis, Dancing with the Stars, and a great tan? Meet Erin!